Hola Everyone! 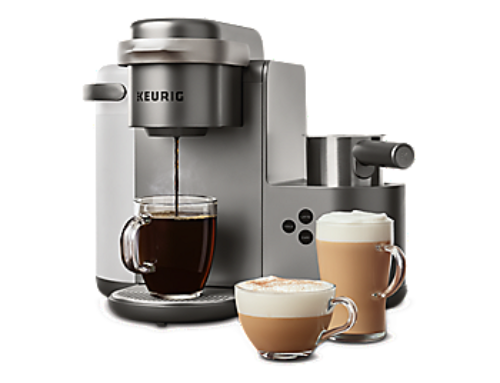 Did you know that our favorite brand Keurig has come up with yet another innovation in the form of a coffee, latte and cappuccino maker? 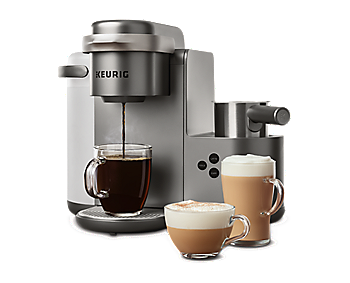 The K-Café Single serving Coffee Latte and Cappuccino Maker and we could not be much more excited. Now you can enjoy those deliciously beautiful coffees, lattes, and cappuccinos in a matter of seconds and be cool and easy about it. I mean if you get such professional quality drinks in such a short period of time, without having to go out for it or make any extra effort, you would be drooling over it just like us as well. You are finally getting a way to make all those things in the comfort of your home, all lazy people, be alert! Is K-Café Single serving Coffee Latte and Cappuccino Maker For You? This amazing restaurant style coffee at home coffee maker comes in a black or dark charcoal color that surely steals hearts, it has that lavish design and looks which anyone would want in their coffee maker. I mean it not only does it looks elegant, creative, attractive but also very expensive and classy. It will enhance the look of your kitchen for sure. 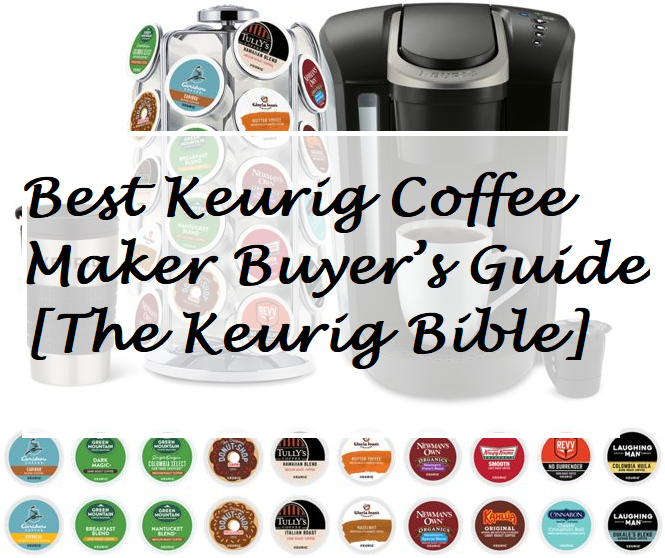 It might be comparatively bigger than other Keurig devices but is still very spacious designed which means that it won’t be covering most of the space in your kitchen like any other coffee maker. The size fits the versatility of the functions just right. The weight is also not too much, it can easily be carried from one place to another based on the needs and necessities. It is also great for both indoor and outdoor use. The sheen finish makes sure there are no scratches or absorbed dust particles in the machine. It is therefore easy to clean. In terms of performance when tested, this coffee maker rendered a lot more than expected, mainly because of its amazing quality. 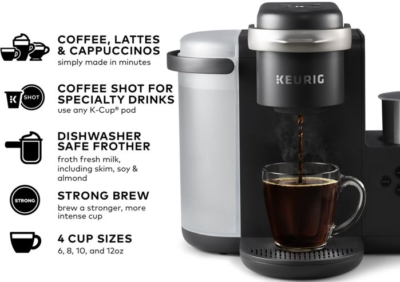 Whether it was the latest, the cold coffees or the iced beverages, this coffee maker went through it all with the swiftest results producing the kind of drinks you would definitely crave more for. 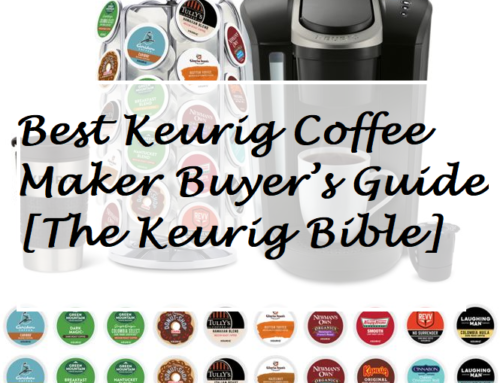 The texture is really smooth and rich just like the other Keurig coffee makers, the strong functions add a little extra kick to this coffee maker’s demand in the market. The coffee machine made coffee, as said in quite a short span of time but the taste was, as expected excellent. You can also froth the milk of your very own choice, like skim, almond or soy milk, etc. The frother is dishwasher safe as well. Another thing is the versatility in this machine that we loved. I mean there are a variety of buttons to select from but don’t worry because they are all very simple and easy to use. All you need is a little direction which will work forever on this machine. Coffee lovers who love strong coffee, be alert. This machine has a feature for strong coffee lovers, it can make you quite a strong cup of coffee by pressing that one button on the coffee maker. One button is all it takes for a much intense and rich flavor. This coffee maker is versatile enough to come in many cup sizes. The sizes may range from 6, 8, 10, 12 oz. The water reservoir that comes along also has quite a water capacity to store room for about 15 cups of coffee so you can be at rest for some days. Brew a shot of coffee from any K cup pod and a variety of flavors that this K cup pod comes in. Just choose the flavor and you are all set to go. The button controls for this coffee maker are quite easy and simple, the instructions given are really easy and clear to the eyes of the user. Keeping in view that every kind of a user might use this coffee maker, it is made with an optimum level of ease in operation. 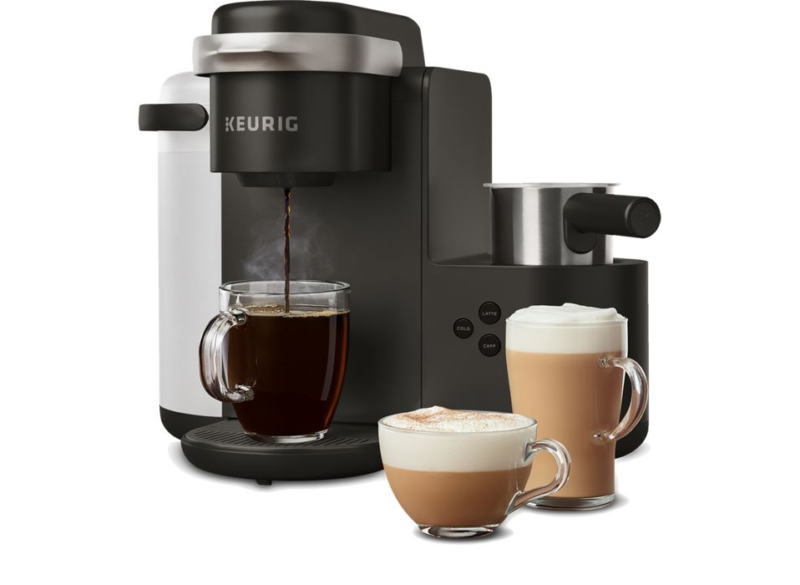 With the Smart Start Feature, your coffee maker heats and then brews in one simple process. You do not have the need to wait for it to heat before the selection of your very own cup size. 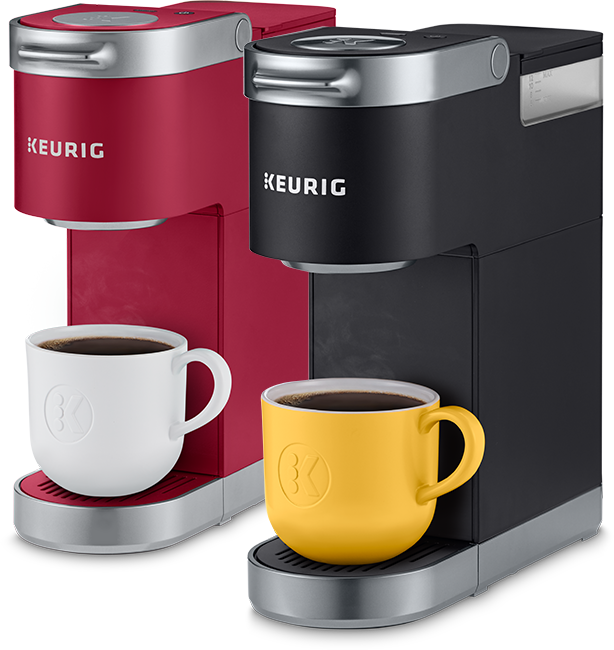 It has a Programmable auto-off feature which automatically turns off your brewer 2 hours after the last brew for the purpose of energy savings. It can also help in saving from many problems that can happen with the coffee maker turned on for no reason, when not in use. 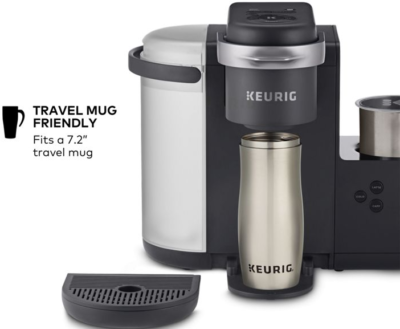 This amazing coffee maker can accommodate travel mugs up to 7.2 inches tall and is top rack dishwasher safe for the purpose of easy cleanup. This coffee maker is best for its price in the provided range of functions. It is also a brand product which means that the quality would definitely be much better than other coffee makers on the market. The features provided are just the right ones in the price range. 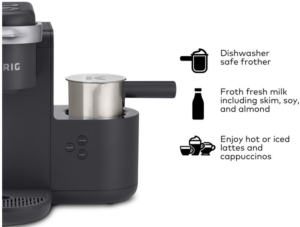 With most of its removable contents, this coffee maker is easy to clean for people who cannot mostly do a lot of cleaning up and that’s what makes it a lot better in terms of cleaning as well. Plus, it is really easy to clean, all you have to do is wipe the dust off of its sheen surface which will always look just as new. 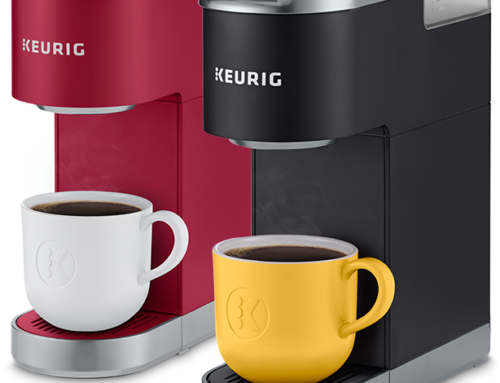 With over 500 flavors in range, you can easily choose your favorite flavor from the K cup pods. If you are a lazy person, who does not like to clean up things a lot more often than this coffee maker can save you lots of time and energy. It is extremely easy to clean and also has removable contents you can easily manage. If you are someone who wants a strong level of coffee with a rich taste and aroma, then you can surely get this coffee maker for its “strong” feature. Have different cravings for coffee? Sometimes you want more, sometimes you want less? Then choose this coffee maker for its versatility in cup sizes. Plus, if you travel a lot, this is also travel mug friendly. It can also prepare coffee in a very short span of time, so if you need a pro-style coffee maker which can make the fastest coffee, you are all set to go and purchase this one.